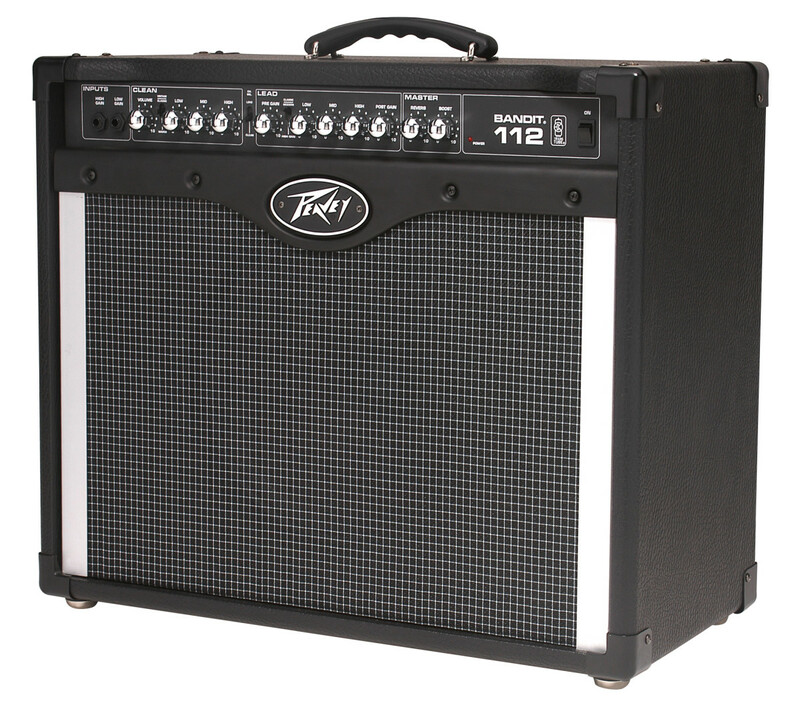 The Peavey Bandit is an affordable, powerful, solid-state amp with outstanding metal tone. If you play heavy metal or hard rock you need an amp that gets you high-gain sounds with outstanding tone. There are a whole bunch of tube amps out there that make the cut, but what about solid state? 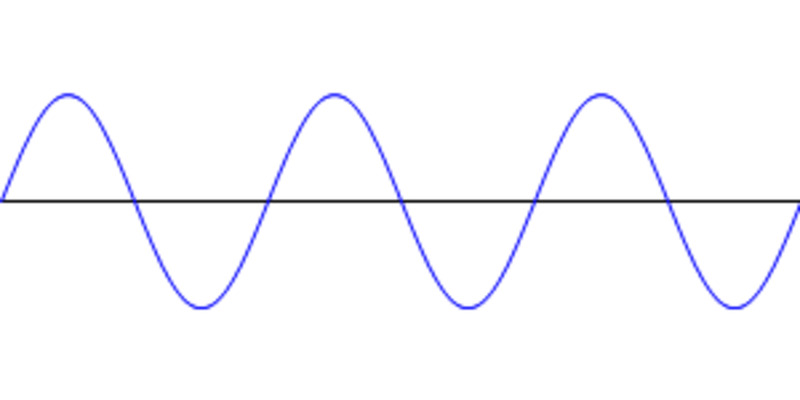 Why would you ever prefer a solid-state (transistor) amp, anyway? It turns out there are some good reasons. For one thing, solid-state guitar amps tend to be much more reliable than tube amps. Vacuum tubes (valves) are like light bulbs – they can go out at any time, including right before a gig or band practice. Solid-state amps are plug-and-play, and you don’t even need to warm them up. Tube amps require regular maintenance to keep them running smoothly. This not only means a little extra time and effort on your part, but also a little extra money. It can cost a couple of hundred bucks to re-tube some amps. But the biggest reason is sound. While it was once true that tube amps crushed solid-state amps in the tone arena, that gap has been severely shortened in recent decades. Some transistor amps sound amazing, and very tube-like. These are the amps we are going to look at in this article. Cost: As usual, I’m not going to recommend expensive gear to you here. You can find some great amps for very reasonable prices. Whether you are an up-and-coming guitarist or a seasoned player like me, you don’t need to spend a fortune on gear. No pedals: It would be silly to point you to an amp and then tell you that you’ll need a distortion pedal to get anything decent out of it. Of course you can use pedals if you want, but these amps sound great without any effects except for what comes onboard. Gig-worthy: These are amps you can use with a band, or lug to a gig. No bedroom amps here, although you can certainly use them as such. These rigs have the firepower to compete with a live rock drummer, and even a tube amp. I’m also going to line them up in a few different categories: Best Combo Amp, Best Head and Best Modeling Amp. So let’s get to it. Here are my top picks when it comes to solid-state guitar amps for metal. The Peavey Bandit wins my top spot for best solid-state combo. This affordable amp has been putting out bone-crushing tones for decades, and has earned a somewhat legendary status in the guitar world. I’ve been using a Bandit as a home amp for almost 15 years. Mine is the Red Stripe version, but the Bandits of today have the same kind of awesome metal tone. There are three voicings to the Lead Channel: Classic, Modern and High Gain. Classic will get you that vintage overdriven rock tone, up to about ‘Zeppelin level. But the Modern and High Gain settings are where this amp shines. The High Gain voicing takes you into 6505 territory, that grinding distortion that Peavey made famous. It's perfect for de-tuned extreme metal. The Modern setting scoops the mids, giving something like ‘Puppets era Metallica tone, or with a little more tweaking a nice approximation of Dime’s Pantera sound. It's a nice bonus that the Bandit is very versatile. While it more than gets the job done for metal, dialing back the pre-gain on the Classic voicing will get you some tubey, bluesy tones. The clean channel is outstanding for rock, blues, country and jazz sounds. And, each channel has its own EQ section, so you can dial them in as you wish. The Bandit also has the power you need, putting out 80 watts with the stock speaker and 100 watts with an extension cabinet. You can even plop it on top of a 4x12 if you feel the urge. 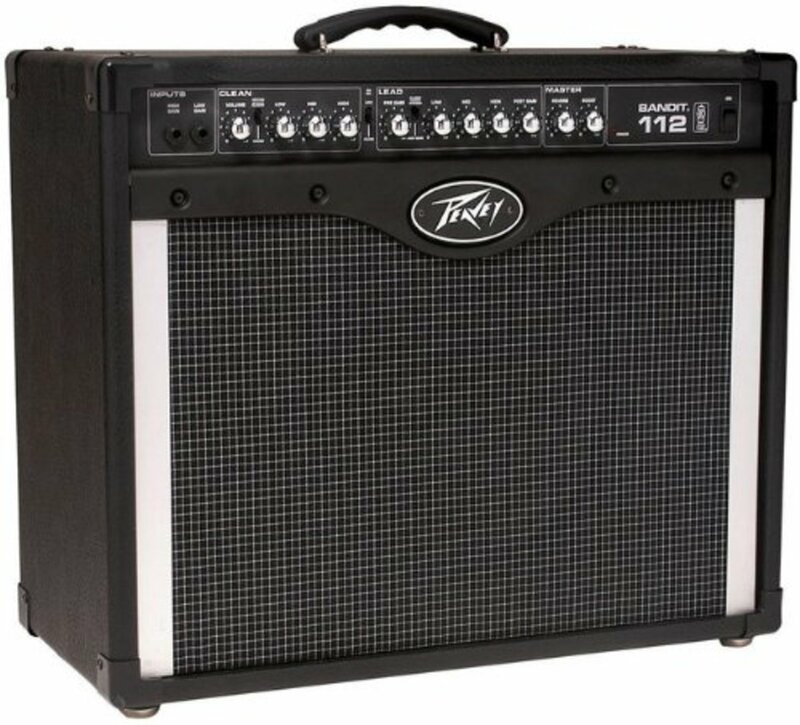 Peavey amps tend to be loud for their power rating, and even with a small amp like the Bandit you will have no trouble making your presence known. My top pick for best solid-state amp head for metal goes to the earth-shaking, bone-rattling and downright terrifying Randall RG3003H. 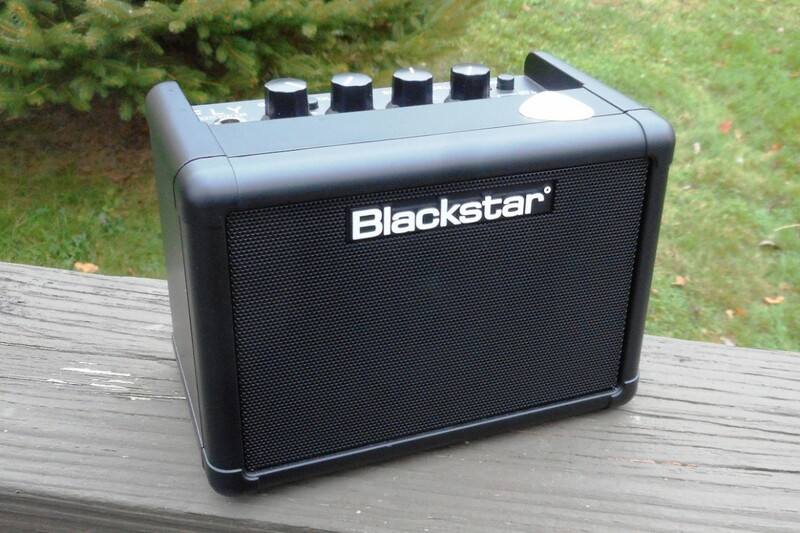 For guitarists on a budget this amp is a great choice. Right off the bat I’ll tell you: This thing puts out 300 watts of power. Three. Hundred. Watts. If you are worried that your buddy’s tube stack might drown you out, this is the amp for you. Randall tone is what matters most here, and these amps are known for killer distortion sounds. To me, Randall amps are an iconic example of what heavy metal tone should be about: great resonance, high-end bite and seriously musical high gain. This is why many metal players, including the late Darrell Abbott of Pantera, turn to Randall. I’ve always loved the sound, and at one point years ago I even (briefly) considered ditching my Peavey 5150 for a Randall solid-state head. 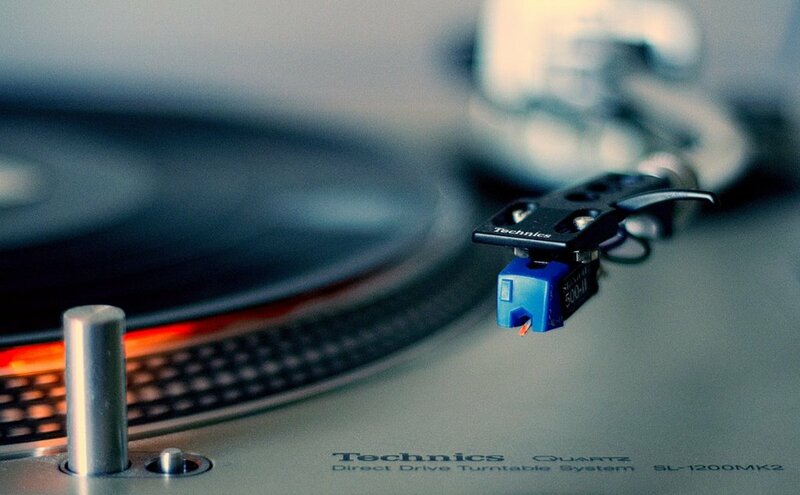 The power and sound is tough to beat. You’ve got three channels here, all controlled by a single EQ section. There is also an on-board noise gate, which is a very useful feature for a high-gain amp, and an XLR out for sending your signal to the house system. Finally, this beast is crazy affordable. At a street price of around $500 you can also grab a Randall 4x12 cabinet or two, so your neighbors don’t miss out on any of that 300-watt high-gain goodness. But, if you (or your neighbors) find this monster a little too terrifying, there are also 150 and 100-watt versions of this head, as well as an 80-watt 1x12 combo and 150-watt 2x12 combo. For my top pick when it comes to modeling amps I’m going back to Peavey, in this case the Vypyr Pro. This is a 100-watt, 1x12 combo with all the bells and whistles you could ever need. But with all of the fancy gadgets onboard this amp, there is one big reason I chose it for the top spot here: Peavey TransTube distortion. It really is just about the most realistic non-tube distortion you are going to find. As you probably know, modeling amps utilize digital technology, and that usually includes the distortion. But Peavey’s Vypyr amps use the same awesome solid-state circuitry found in the Bandit to get their gain. In fact, the Vypyr Pro boasts four stages of TransTube gain. In addition to all that distortion, you get over 100 models of amps, effects, reverbs and delays. It’s worth noting that, like other Vypyrs, the reverb and delay are controlled separately from the other effects. This means you don’t have to use up a slot in your effects bank just for reverb. There are also 500 presets, and plugging in your own is super easy. Just dial it in and save it using the very intuitive controls on the face of the amp. You’ve also got a built-in microphone simulated direct out, and a MIDI interface, three adjustable noise gates, an on-board tuner, power output adjustment, a USB port and a whole bunch of other stuff. Didn't I say bells and whistles? It probably seems like I have a thing for Peavey, and I guess that’s true. I told you I own a Bandit, and I also have an older model Vypyr that I really love. I played 5150s (now the 6505) back when I was in bands. And, I think I’m going to need that Vypyr Pro before too long. I also own a Marshall, and I’ve owned Fender, Laney, Vox and many other brands. They all have their place. In my mind, Peavey’s place is metal. Here are a few more choices you might consider in your quest. They didn’t make my top three for one reason or another, but they are still worth checking out. Randall RG1503 212: This is an affordable combo version of the RG3003 discussed above. It puts out 150 watts of Randall mayhem through a 2x12 cabinet, and includes many of the same features as the head. If you prefer a combo and love the Randall tone, this might be your amp. 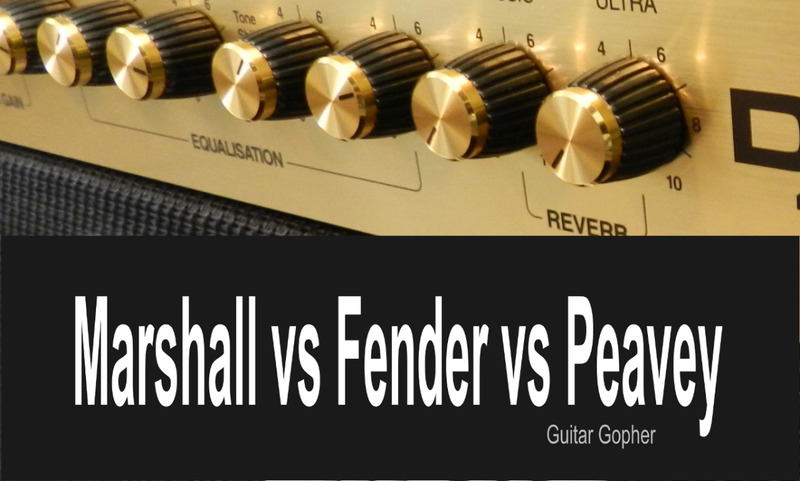 Marshall MG100HCFX: If you are a looking to build a super affordable solid-state half stack for metal it is tough to beat the Marshall MG100CFX head and 4x12 cabinet. You get lots of power, a nice approximation of that Marshall tube tone, plus some handy effects. Line 6 Spider V 240: It’s a 240-watt modeling amp with a pair of twelve-inch speakers. The newest generation of Spider guitar amplifiers is as innovative as ever, and Line 6 remains a leader in the world of modeling technology. I’ve always thought Line 6 distortion was pretty decent as well, which is how this amp finds itself here. Many metal guitar players choose to go the tube route when they are looking for a powerful, gig-worthy amp with great distortion. But, you don’t have to, and I honestly get a little weary of gear snobs trying to convince people that tubes are the only way to go. There are some great sounding solid-state amps out there with plenty of firepower for gigs and rehearsals. I love my Peavey Bandit. It does brutal high gain, tubey rock sounds, blues, jazz and even (God help me) country if I am ever so included. For many up-an-coming players looking for their first real amp, the Bandit can take you anywhere you need to go. If you need a half-stack, Randall is tough to beat, and the RG3003H is a monster of mythical proportions. It’s got the gain, and the power, to hang with any other amp you might encounter. If you must go the modeling route, once again I’m really impressed with the Peavey Vypyr Pro. Peavey TransTube circuitry is very tube-like, and with a ton of amp models, including the legendary 6505, you’ll find the metal sound you need plus all the effects you can stand. That’s my opinion. As always, I invite you to do your own research and form your own conclusions. 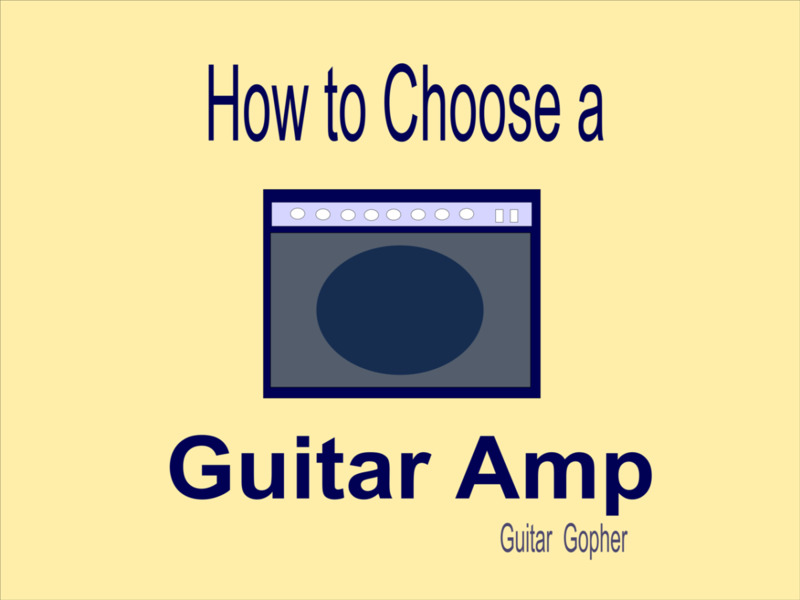 Good luck finding the perfect solid-state metal amp for your needs! Which Solid-State Amp Do You Like Best? 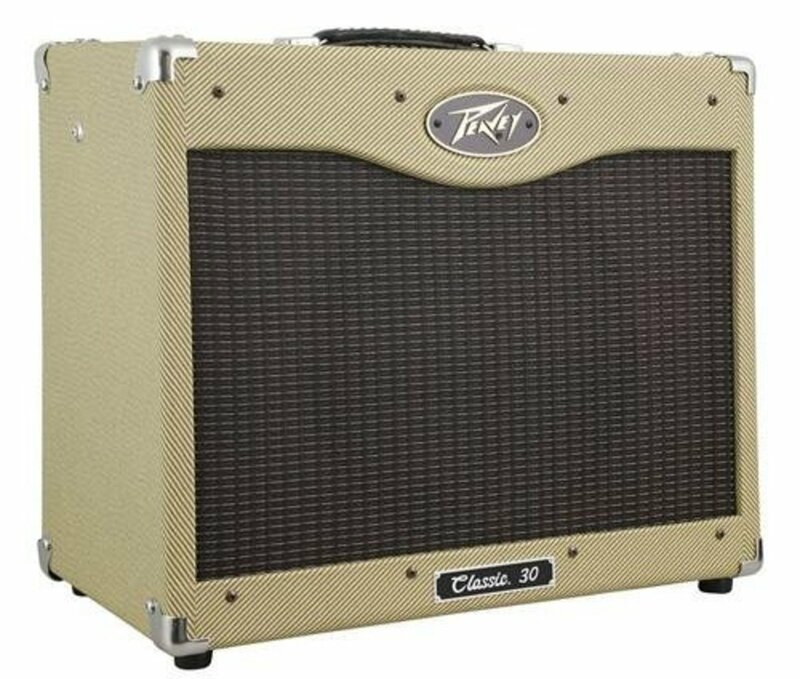 Is the Peavey XXL head any good? I loved the XXL, and I was sorry to see it go from Peavey’s lineup. In my opinion, Peavey’s TransTube solid-state distortion is the best solid-state distortion in the business, and the XXL was perfect for metal and hard rock. If you’ve got one, hang onto it! I would really like to see Peavey bring the XXL or something like it back into production. They currently do not make a powerful, affordable, solid-state guitar amp head. While I love the 6505 Series, they are a bit beyond the reach of many guitar players. The TransTube XXL was just the thing for up-and-coming metal guitarists.